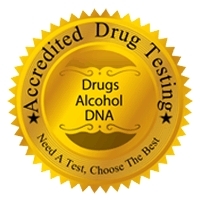 Accredited Drug Testing is pleased to announce that it is now offering free drug and alcohol testing for all current Federal Government employees at all company owned and affiliated testing centers nationwide. Accredited Drug Testing recognizes that many Federal Government employees are facing financial hardship due to the government shutdown and may be required to seek employment in the private sector. Orlando, FL, January 22, 2019 --(PR.com)-- Accredited Drug Testing is pleased to announce that it is now offering free drug and alcohol testing for all current Federal Government employees at all company owned and affiliated testing centers nationwide who may be required to self pay for a drug test by an employer. Accredited Drug Testing recognizes that many Federal Government employees are facing financial hardship due to the government shutdown and may be required to seek employment in the private sector. “In an effort to assist the 800,000 federal workers heading into the second month without pay, Accredited Drug Testing will provide any current Federal Government employee with one drug or alcohol test free of charge when required to “self-pay” by an potential employer,” stated James A. Greer, President/CEO of Accredited Drug Testing. Currently there are 380,000 federal employees on furlough and the other 420,000 working without pay. Accredited Drug Testing recognizes the severe burden that the Federal Government shutdown has placed on families and individuals throughout the United States. Accredited Drug Testing is here to make the transition easier and make sure these employees are able to pursue alternate occupation opportunities without cost. In conjunction with the free testing program, Accredited Drug Testing announced the following terms that Federal Government employees must meet to receive the benefits of this offer. Employees eligible to receive this free test must be current Federal Government Employees and must scan or fax proof of Federal Government Employment (Pay stub, Federal ID). Drug or alcohol tests may be scheduled for the following purposes: pre-employment, random, post-accident. This program will not apply to reasonable suspicion testing. Tests may be scheduled at available testing centers Nationwide (in-network). Federal Government Employees who have been required to seek full or part-time employment from non-government agencies may utilize the free test provided they have shown proof that they are a Federal Government Employee affected by the Government shutdown and required to self-pay for the test. Free testing only applies to urine and breath alcohol methods. Hair testing will be discounted by 50% of the standard fee, if required. No other discounts are provided for other testing methods or services. All terms and conditions are final, and this program has no cash value and Accredited Drug Testing reserves the right to make all final decisions regarding eligibility. This program and offer will end upon the reopening of the United States Federal Government (shutdown ends). It is Accredited Drug Testing's hope that all Federal Government Employees will return to work soon, and this program will assist in some small way. To schedule a drug or alcohol test in conjunction with this program, please call 1-800-221-4291.